Is there any Spring Training pitching competition for the Nats? The notable exception to the off-season shopping list, of course, is a lack of a proven center fielder. Perhaps one could quibble that a shortstop should have been on that list; it seems the team is giving another year to the Ian Desmond experiment, hoping he builds on the strong end of 2011 (he hit .294 in Aug and Sep of 2011). The backup infielders and backup outfielders listed here, to go along with a slew of minor league/invite to spring training signings, should be where most of the competition for roster slots occurs. The big question for me is; Is there any real competition for pitching spots this spring? Strasburg, Gonzalez, Zimmermann, Jackson and Wang. Should someone go down with injury, Lannan steps in to take the 4th or 5th rotation spot (depending on whether Davey Johnson likes to mix up LHSP/RHSP in any fashion). Otherwise, Lannan is trade-bait and should be moved during the spring. There are plenty of teams that could be trade partners if we wanted to focus on a center fielder (see this article I did in November talking about the CF market for the whole of baseball for some thoughts). Barring a trade, it seems inconceivable but Lannan does still have a minor league option left and could be sent down, but a $5M pitcher toiling in Syracuse (to go along with $2M bust Yuniesky Maya) could make the Nats AAA team the most expensive minor league rotation in the league. (We won’t say “most expensive ever,” since the Yankees kept Kei Igawa and his $46M commitment in the minors for most of his contract). 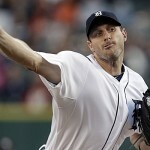 A recent post on option status at Nationalsprospects.com (the option status of every player is now kept on the Big Board, which is good for me since I did this work last year and its a nightmare to keep track of), as well as a question asked of Bill Ladson leads to this conclusion: there literally is no question right now who your 7 bullpen members will be. Tyler Clippard, Sean Burnett, Henry Rodriguez, Tom Gorzelanny and Ross Detwiler ALL are out of options. Brad Lidge can refuse a demotion based on his service time and Drew Storen is your closer. There’s your 2012 bullpen; not much room for anyone else. The only wiggle room may be with someone like Detwiler: he’s clearly a starter and seems set to be the first Spot starter to fill in for an injury (assuming we trade Lannan of course). Does the team keep him in the bullpen, where he basically fills the exact same role as Gorzelanny (ex-left handed starter long man/spot starter in a pinch)? Or does the team cash him in to fill a hole? This configuration leaves newly acquired Ryan Perry, Ryan Mattheus and Atahualpa Severino in AAA. Cole Kimball starts on the 60-day DL (and, frankly, probably stays there; the odds of him coming back from that shoulder injury are low). Lastly Craig Stammen joins Maya in AAA as deep-need emergency starters. What’s nice about this bullpen is that, despite my naming players to roles, there’s lots of flexibility. Rodriguez on a good day has 8th or even 9th inning stuff. Lidge is a former closer and clearly can do the setup or closing roles. Clippard excels in the 8th inning role and doesn’t seem to aspire to replace Storen. Burnett is far more than just a one-out guy, but can serve that role in a pinch. Lastly both Gorzelanny and Detwiler can be anything from a one-out lefty to a 3-4 inning mop-up guy, given the day. I like the way this sets up and I think we go into 2012 with a better bullpen than in 2011 (when, if you recall, we wasted a spot on Brian Broderick, had the failure of Doug Slaten in the loogy role and watched Chad Gaudin pitch horribly). Who starts the Home opener? Quick guess: based on the way the schedule plays out it looks like our home opener will be thrown by our #2 starter Gonzalez. We play two 3-game series away to Chicago and New York, then open at home with what should be the #2 rotation spot up. There’s only one off-day in between, meaning the starters most likely stay on normal rest. Who is going to start for Syracuse in 2012? We all know who went the other way in the Gio Gonzalez trade; A significant portion of our starter depth, especially at or near the majors. Both Tommy Milone and Brad Peacock got a few starts in September last year, and both fared relatively well (albeit against somewhat weakened or dis-interested opponents). Prior to the Gonzalez signing, one would have thought that the MLB 2012 rotation was mostly set, with Ross Detwiler taking the 5th spot over Milone and Peacock by virtue of his (lack of) options status. That would have left both these younger starters in AAA waiting for their opportunity. With them now in Oakland’s organization … who is going to start for Syracuse in 2012? Who represents our starter depth in case someone gets hurt? 20 were made by Detwiler and other MLBers on re-hab assignments. the remaining 51 games made by guys who may or may not feature in 2012. That’s 63% of your AAA starts made by guys who won’t be making any 2012 AAA starts for this organization. 4 were re-hab assignments by current MLBers. That’s 50% of your AA starts made by guys no longer with the organization or re-hab starts. 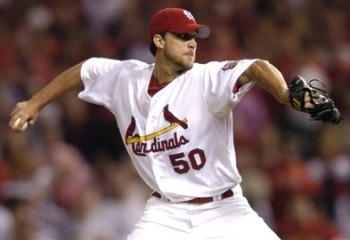 Arneson pitched well enough, but he’s no prospect; he’s 28 and starting his 6th minor league year. 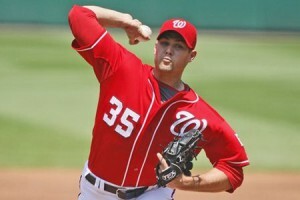 Roark and Tatusko both struggled in 2011 and seem destined for the bullpen. Davis was demoted, Bronson only called up for a spot AA start, and Rosenbaum pitched well in 6 late season starts but needs more AA seasoning. So not a lot of help coming up from Harrisburg. Matthew Buschmann, rhp: taken in the rule5 draft (AA phase) from San Diego, he was reasonably successful in 2011 in the AA Texas league before getting pounded in 20 appearances (15 starts) in AAA. By virtue of his rule-5 drafting, he’s pretty much guaranteed to be on the AAA roster in some capacity. He is a starter; will be be one of Syracuse’s starters? 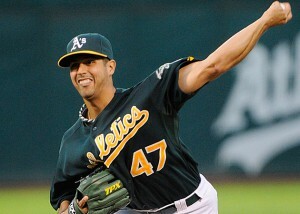 Joaquin Waldis, rhp, signed to a 1yr ML FA (former club: San Francisco) with an invite to Spring Training. 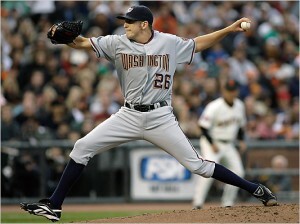 He was a reliever all of 2011 and was most likely signed to provide some depth in the middle relief phase. Not a starter option. 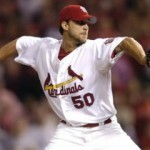 Jeff Fulchino, rhp, signed to a 1yr ML FA (Houston), invite to ST (split contract). Was relatively mediocre for Houston and San Diego last year, again signed for some reliever depth/spring training competition. Robert Gilliam, a rhp thrown into the Gonzalez trade, is a starter but only was at Oakland’s Class-A entry in the California League last year. He seems set to be in the AA rotation in 2012. Mike Ballard, a lhp starter given a 1yr ML FA (Baltimore), invite to ST. He was relatively effective for Baltimore’s AA affiliate in Bowie, but less so at AAA Norfolk, where he started the season. He is a full-time starter and seems a likely candidate for our AAA rotation. Without sounding too judgmental … that’s not a lot of AAA depth in case something happens. Only 2 of these 5 are even on the 40-man, and those who are have either proven to be ineffective at the major league level (Maya) or seem destined to be used as middle relief/organization filler (Stammen). If Meyers gets returned, look for him to replace Arneson one for one (since Arnesen seems destined to be the minor league utility guy, as he was used last year). I’d have to say; if someone goes down with injury, we’ll most likely look from within the MLB bullpen (in the form of Gorzelanny or Detwiler) for starts. Nationals News Network blogger Dave Nichols runs a few polls beginning and end of season, hitting up all the Nats bloggers out there for opinions. Here’s the 2011 post-season results. Here’s how I answered his questions, with some thoughts added in. Nats MVP: Morse, Clippard and Zimmerman. For me clearly Morse was this team’s most valuable player this year, going from 4th outfielder to 30 homer clean up hitter in short order. Clippard was your all-star but Morse was the more deserving candidate. Starter of the Year: Zimmermann, Lannan, Marquis. I think Zimmermann’s come-back was fantastic, and he was clearly your best arm in the rotation (at least until September). Lannan continued his boring-if-effective career, and everyone seems to forget that Marquis was pretty good the first couple of months. Reliever of the Year: Clippard, Storen, Coffey (though it pained me to say it). Finding the first 2 was easy; finding a third reliever candidate who wasn’t mostly awful this season was really tough. Burnett struggled mightily but turned it around. Henry Rodriguez has been lights out in September, but September only. Slaten was awful all year. Broderick and Gaudin couldn’t exit quickly enough. Perhaps Mattheus was more deserving of the year-long award. All around Hitter of the year: Zimmerman, Morse, Hairston. Probably could have switched the first two here as well, based on Morse’s excellent BA with power. Hairston’s contributions over the course of the season were pretty understated, but he was a solid member of this team. Slugger of the year: Morse, Espinosa, Nix. Morse is obvious. Espinosa showed some pretty rare power for a 2nd baseman. And Nix’s homer/ab ratio puts him on nearly a 30-homer pace for a full season. Can’t beat that. Defensive player of the year: Zimmerman, Espinosa, (amazingly) Desmond: pretty obvious candidates. However UZR/150 was not kind to this team generally this year. Espinosa is a plus defender at 2nd and Desmond made huge strides. Probably in retrospect should have included Ankiel, who has the best UZR of any near-regular in the lineup. Comeback player of the year: Zimmermann, Wang, Flores: 3 pretty obvious candidates. We’ll save Strasburg for the 2012 version. Humanitarian of the year: Zimmerman, Desmond, Storen. I’m only even aware of Zimmerman as someone who has a charity or a foundation. Desmond was the team’s Clemente nominee, so he must be doing something right. Minor League player of the year: Peacock, Lombardozzi, Moore. The phrasing of this question threw me off. 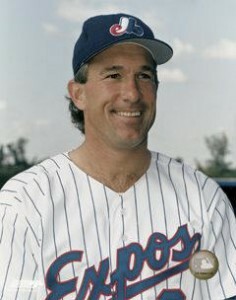 The minor league “player of the year” is DIFFERENT from “player most destined for big league success,” which was the explanatory text Nichols put into the survey. Clearly Peacock and Lombardozzi were our minor league players of the year and were so awarded by the team, but I’m not sure either is really a top-ceiling MLB prospect. Our three best prospects most destined for success in the majors (<2011 draft version) are probably Harper, Cole, and either Solis or Ray. Throw in the 2011 draft and that list probably becomes Rendon, Harper, Purke. Additional Questions: here’s a few add-on survey questions. 1. Players we’re parting ways with after 2011: Livan, Coffey, Balester, Slaten, Pudge, Cora, Gomes, Elvin Ramirez. This implies we’re going to keep Gorzelanny, Wang, Bixler, Nix, Ankiel and Bernadina. I’m guessing Bernadina passes through waivers and stays. Gorzelanny becomes a long reliever. Wang resigns, Nix stays on as the 4th outfielder and Ankiel sticks in CF. 2. Does Zimmerman sign an extension this coming off season? No; he’ll sign it AFTER the 2012 season. 3. Biggest Surprise: Morse clearly. 4. Biggest Disappointment: LaRoche. Maya 2nd. Lots of people will say Werth, but in the end we all kinda knew the contract was a mistake and he’s struggle to live up to it. LaRoche was supposed to at least contribute, and he did nearly none of that. 6. Favorite Nats blogger: Love Sue Dinem’s work; my blog would be twice as hard without it. A major league team’s rotation cycles somewhere between 33-34 times a year. As I did with the Spring training games, I will try to do a good/bad/indifferent each time through for the pitching staff. I’ll focus more on the starters but will mention the relievers as is merited. Livan Hernandez‘s opening day start (running blog/gamer/box score) may have gone down as a loss, but it was a pretty nifty gem. He gave up two runs on four hits with no walks in 6 1/3 on only 77 pitches. He retired 15 in a row after a 2nd inning homer given up to Jason Heyward. He may have gotten the loss but it was a quality start for sure and he probably pitches a complete game if the Nats could score. John Lannan goes 5 complete for the win in the 2nd game of the season (blog/gamer/box score). Its amazing what a little run support will do for a guy. I do agree though with Steven from FJB, who criticizes the decision to bring Lannan back after an hour’s rain delay just so he can pitch the 5th and get the W. Why would he have possibly had Lannan return after an hour’s delay? That’s why you have long men in the bullpen. That should have been Broderick or Gaudin in to re-start the game. Jordan Zimmermann‘s first start of the season (running blog/gamer/box score) was promising: 2er in 6ip and finishing those 6 innings in just 84 pitches. Not very many Ks though (only two through six) for a strike out pitcher. Perhaps he was pitching to contact. Sean Burnett: apparently our new “closer” for now. He’s pitched pretty effectively in limited opportunities. 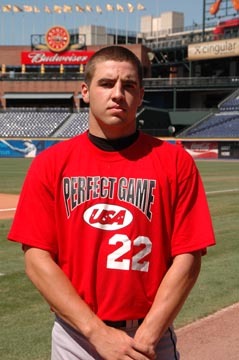 Jason Marquis: his 4/5 start (gamer and box)was the first game that I have gotten to see. And I thought he looked pretty good. He went 6 1/3, gave up 6 hits and 0 walks and was efficient all night (he was only at 78 pitches when he got removed). He only had 2 ks but was throwing lots of strikes. His fastball showed around 90 with great movement and he got lots of groundballs (11 grounders and 5 fly balls). The middle of the Marlins order had his number but he controlled the rest of the squad. Doug Slaten: three games and three failures in the Loogy role to start the season. Gotta do better. Your job is to get the lefties out. 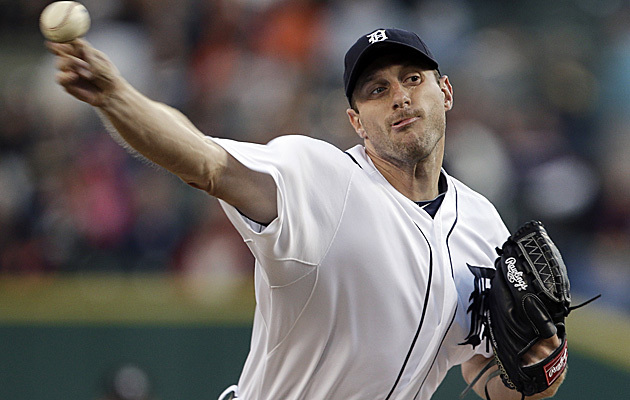 He may not have given up an earned run yet but his whip is a nifty 12.00 through three games. The Bullpen on 4/3/11. Broderick, Gaudin, and Coffey‘s 4/3/11 performances. Not. Good. Notice that these three guys are all brand new to a very good bullpen last year. I’m not panicking, but i am saying. Balester may have his ears burning if (especially) Gaudin can’t get it done. Storen seems to be getting his confidence back. But he cannot be giving up two hits and a walk in the 9th inning of a tied game (as he did on 4/5). He’s not getting any Ks either, and we need his k/9 ratio to be up in the 8.5-9.0 range. Lannan; 3 2/3ip, 7 hits, 3bbs and 5 runs. Marquis: 4ip, 8 hits, 3 bbs and 6 runs. Stammen: 5ip, 9 hits, 4 runs. Mock: 3 1/3ip, 4hits but FIVE walks and 2 runs. For the record, that was 17 runs in 16 innings over 4 days. Our first four starts in 2011 elicited 23 2/3ip and just 7 earned runs. Quite the turn around. Too bad the team couldn’t score any runs and went 1-3. We’re getting great production out of our stars (Zimmerman has a 1.406 ops through 4 games and Werth is at .945). Ramos is mashing the ball and Espinosa is 4/10 so far. The rest of the team? Bad. Until last night the lead off hitters were 0-for-the-season and Riggleman is already swapping players around to put Espinosa at leadoff (a pretty good decision if he can handle it). Ankiel is 1/12 (but that “one” is a mashed homer, which St. Louis fans are probably cackling about, since they continually warn Nats fans that this is exactly what Ankiel does). They’ve only scored 10 runs in 4 games (6 of them in their sole win) and definitely need to show better run support. Great starting pitching to go with little run support. I hope this isn’t the story of the season. 25-man roster finalization; Don’t like it but understand it. As the Nats are breaking camp, they’ve announced a flurry of roster moves that are setting up the team for its opening day. And, in a series of moves reminiscent to 2009’s opening day roster, we’re breaking camp not necessarily with the best guys on our 25-man roster, but with the best team option status (or lack of them) can assemble. As the title of this post suggests, I understand the logic of these decisions but don’t necessarily like what it means for the team. I think we’re weaker than we could be, and we’re keeping around veterans with no long term place for this team instead of playing guys who deserve to be on the MLB squad. I think it sends a bad message to guys who deserve to be playing but who will be heading to Syracuse. Both Collin Balester and Roger Bernadina seem to have missed out on roster spots so that the team would not lose players who may have trade value in Chad Gaudin and Laynce Nix respectively. 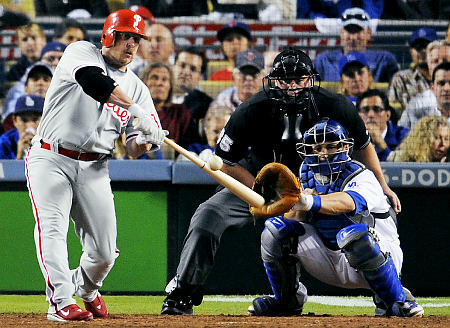 For some reason, we’re keeping Matt Stairs instead of a player who can actually help off the bench. As pointed out by Ben Goessling, this also means that our bench is incredibly lefty-heavy and we’ll struggle with matchups later in games. Isn’t Rizzo obsessed with defense? How does Stair’s lack of *any* discernable defensive capability fit in with his overall vision for this team? Another Natsmosphere twitter-er asked this good question; if Adam LaRoche‘s shoulder puts him on the DL; who exactly is the backup first baseman out of this group of bench players? So, for our final 25-man roster we’re using 4 non-roster invitees. Gaudin makes the team and probably deserved it. Nix makes the team and seems to be trade bait. Stairs makes the team for some reason or another. And Alex Cora probably (deservedly) makes the team as Alberto Gonzalez‘s replacement (who we’ve traded to San Diego for a pretty good prospect considering we would have DFA’d him in 3 days…). I guess if we obtain prospects for Gaudin or Nix in a trade later on this season, then it would be worth the options burn on Balester and Bernadina. I hope so; along with Detwiler and Mock, 2011 represents their final option year.